The AC Transit Board of Directors has not yet decided whether to appeal an injunction that blocks a contract the agency imposed on about 1,750 employees last month, a district spokesman said. Alameda County Superior Court Judge Judith Ford issued the preliminary injunction last Monday that overturns a contract the bus agency imposed on its employees on July 18 after contract negotiations collapsed. The board met Monday night to discuss the possibility of an appeal but did not reach a conclusion, AC Transit spokesman Clarence Johnson said. They plan to reconvene on Aug. 18. The old contract expired on June 30 after three months of talks failed to result in an agreement. 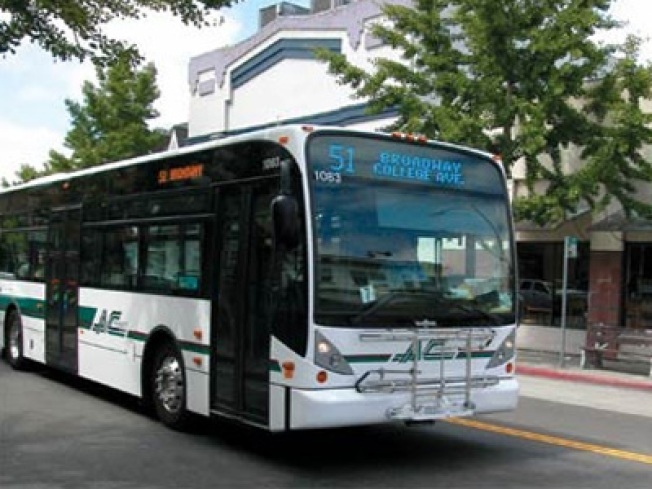 The board of directors at AC Transit, which serves parts of Alameda and Contra Costa counties, voted to impose a new contract on members of Amalgamated Transit Union Local 192, which represents the agency's 1,200 bus drivers in addition to about 550 other employees. The new contract took effect July 18, but today's ruling means the bus agency will have to honor the old contract while the union and management engage in arbitration. On July 16, Alameda County Superior Court Judge Frank Roesch ordered AC Transit to enter into binding arbitration with ATU Local 192 to try to reach an agreement on a new contract. The two sides have agreed on an arbitrator, but no new talks have been scheduled so far.